No longer considered taboo by the mainstream media, sports betting has received increased coverage in recent years. That trend will continue on Scott Van Pelt’s new midnight ESPN SportsCenter, which will debut Monday at 9 p.m. Pacific time. 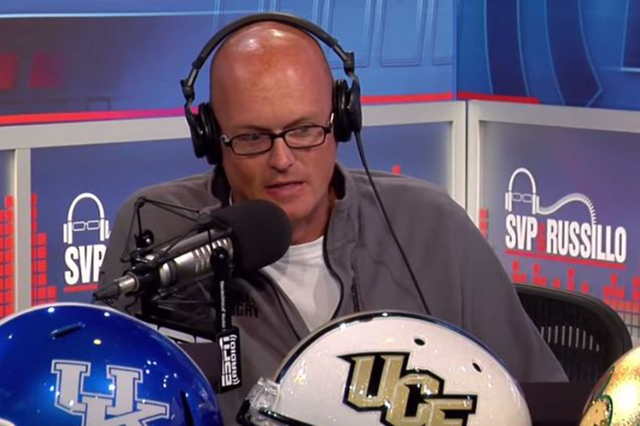 Van Pelt regularly featured gambling on his “SVP & Russillo” ESPN Radio show, making weekly NFL picks against the point spread, and he plans to continue to do so on the new SportsCenter, where he’ll talk openly about point spreads while showing game highlights. “The show is going to feature a lot of results as they relate to the betting line. It’s not going to be a wink and a nod. We’re going to address this like adults. Like, ‘If you had the Clippers tonight minus-8, boy did you just suffer a horrific loss and we’ll show you how, momentarily,'” Van Pelt told USA Today. “We’ll show you the outcome of the game as it relates to the actual standings, of course, but if someone gives up three 3s in the final seconds we’ll show that too, because people bet. “Maybe the NBA is the best analogy here. Commissioner (Adam) Silver has been up front about that. It’s what some people do. And we’ll address that more directly that it’s ever been addressed before as opposed to ‘boy that basket was sure important to some people, wink, wink’ — well, let’s just say what it is. “I believe that, for the longest time, it was the third rail topic. It was this taboo. The notion is that it was something that was done by guys with Tommy guns in back, smoky rooms. Well no. People bet on sports. Look at what’s become of daily fantasy and leagues linking themselves at the hip with them. You can call (it) whatever you want. But if you’re putting money in an account to compete and the results dictate whether you win or lose money, well, you’re betting! Van Pelt said he doesn’t anticipate many complaints.